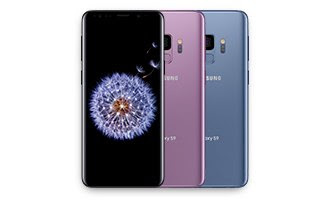 Very soon the Samsung Electronics will be rolling out its flagship Galaxy S9 smartphone globally, it obvious that the market doesn’t seem to be asking for too much, hence Samsung has made it name when it comes to mobile devices, the only effect might be just in line, with the same mobile profits as last year. From what we gathered it is expected that Samsung will ship between 37 million and 40 million Galaxy S9 series phones in 2018, which will put sales on a high end, or a little bit above those that of the previous series. This means that we may likely see Samsung making more mobile profits as the world’s largest smartphone maker, compared to the 11.8 trillion won ($11 billion) posted during last year statistics. The Samsung S9 has a price advantage over iPhone X, though it will come with an estimated 10 percent increase compared to the S8. But there’s a challenge — analysts just don’t think there’s enough smartphone demand to go around this year. Here are some of the features outlined by consumers that will help the sell of Samsung S9. Improvements in camera features as well as user experience. Samsung S9 shipments to be slightly lower than company forecasts and “cautiously expect” annual sales volume to be similar to G8 on muted demand for premium smartphones. Earlier launch date and “favorable” competitive environment could also be a factor that will help the new Samsung S9 series to sell at least at a similar level to the S8 series last year. Samsung Electro-Mechanics to be main beneficiary. ← Apple’s High End Devices with Affordable Prices Featuring Dual-Sim.